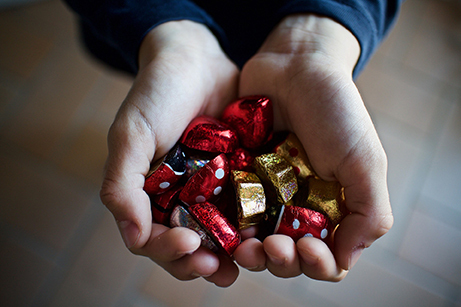 Bribing volunteers: Should we be incentivising people for their time? Incentives to volunteer appear in different forms: volunteers receiving discounts and offers from shops, businesses, cinemas etc. ; access to concert tickets unavailable to anyone but those who volunteer a certain number of hours; and discounts on membership dues for the organisation people choose to volunteer with. Just recently, Civil Society Media reported on a UK volunteering charity that “launched a volunteering reward card scheme”. I’m sure many more and varied examples exist. I’ve seen leaders of volunteers deeply uncomfortable with these incentives, focusing on their financial value and seeing them as nothing more than bribes. I’ve seen others set aside their initial discomfort because the incentives offered attract new and / or diverse groups into volunteering. I’ve seen others wholeheartedly embrace the idea right from the start, with new initiates being launched around the world. Employers who rely on extrinsic motivation work on the premise that their workers, if not driven by the consequences of the stick and the carrot, fundamentally have no enthusiasm for their work and will try to shirk any responsibility; therefore, those in a management position must invariably direct and supervise them. Sound familiar? That’s pretty close to the attitude many organisations and employees have of volunteers. It certainly chimes with the way modern volunteer management has developed, becoming more formalised and HR-like as it emphasises rules, management, processes and control. There is another inner force that drives us: the intrinsic Motivation 3.0. When a person finds a job fulfilling, no further reward is necessary. Tens of thousands of people write and edit articles for Wikipedia voluntarily, out of pure enjoyment. They invest valuable working time in this endeavor and receive not even the lowest material reward in return. Although the growth of Wikipedia was dependent on voluntary writers, the project became an enormous success. In contrast, its rival product, Microsoft Encarta, whose development was in the hands of well-paid professional authors and editors, was closed down some years ago. Pink makes a critical point. We do not get the best out of people - paid or volunteer - if we assume their default setting is “have no enthusiasm for their work and will try to shirk any responsibility”. Yet isn’t that exactly why we have extrinsic incentives to get people to volunteer? We feel the need to dangle some shiny carrot to get people to consider giving us some of their precious time because, if we don’t, they won’t. Intrinsic motivation is gradually lost as a person is confronted with a world in which everything relies on extrinsic motivation. As children, we are driven by our inner desires to learn, to discover and to help others. But as we grow, we are programmed by our society to need extrinsic motivations: if we take out the trash, study hard and work tirelessly, we will be rewarded with friendly praise, high grades and good paychecks. Slowly, we lose more and more of our intrinsic motivation. On the path towards adulthood, our natural dedication decreases with age. Striving to change something in oneself and in society is a much healthier and satisfying impetus. For more and more people, such meaningful goals have become their main driving force. We are increasingly committing ourselves to voluntary and unpaid activities. Wow, that’s pretty powerful! I wonder if those of us in volunteer leadership and management are often barking up the wrong tree. Faced with immediate recruitment struggles, are we taking the easy way out by incentivising people to volunteer? Are we mistakenly placing too much emphasis on policies, procedures, rules and control as the essential tools to get the best from volunteers? Are we seeing success in how many volunteers we have and how many hours they give rather than in an understanding of the true difference they make in our communities? The more I think about it, I think the answer is yes. Intrinsically motivated people want to be able to dictate when they work, what they work on, and what they are responsible for. They do not need to be directed or rewarded, because they enjoy working and do so voluntarily, without demanding anything in return. Relinquishing control like that is a big shift for many of our colleagues who work with volunteers. It means we, as leaders of volunteering, will have to effect significant cultural and practical change in our organisations. That requires is to cast off the shackles of how we’ve always done things and embrace new approaches. Have you tried incentives to get people to volunteer? What were they? Did they work? Are you trying to implement these kinds of changes in your organisation? What’s working? Do you agree with my thoughts or do you see things differently? All our volunteers choose their own times and take personal initiative. Civic pride and making a difference they can see are motivating. Is that bribery? I think not. Actually, you couldn’t pay or bribe professionals enough to do the jobs they take on for our Symphony. Here’s a corny word - LOVE. I think it all boils down to loving the mission and loving our volunteers. Finding the passionate volunteer or adjusting the task to enhance their passion is on me. And I love it. Thanks for the comment, Deborah. I'm not arguing against thanking or recognising volunteers, as you say that's a crucial element of our work. My point is that we may not be considering the full consequences of trying to incentivise people into volunteering rather than relying on their own passions (or love) to drive them to serve. As a volunteer and a paid manager of volunteers I completely agree with this article. I moved from the corporate sector because there was little understanding of my motivations (ie not money or status). As a volunteer I appreciate a cup of tea and a chocolate biscuit occasionally but a personal note saying thank you makes my day. We have recently taken away a discount 'perk' for our volunteers for all the reasons described. Except for one or two comments it has gone unnoticed as many volunteers disagreed with it anyway. Thank, you. Glad you liked it. This is exactly the kind of thought leadership I think we need to embrace to bring about a step change in the voluntary sector - as those who will always strive to empower people through intrinsic values. It comes back to the idea of treating your staff like volunteers rather than your volunteers like staff. I would love to see volunteer engagement specialists at the fore with other leaders to drive this ambition. I have found that my volunteers like those things that help them do their volunteer job better. For example, when working at Carlsbad Caverns National Park I awarded different colored flashlights to volunteers- ones they could use while volunteering as well as have for themselves. Everyone could have a black park flashlight to use, but only volunteers received blue or gold ones to use and keep. At Casa Grande Ruins in Arizona the tool of choice was hats- everyone had one as part of the uniform but volunteers working more hours got to keep their hat and/or qualified for Tilly hats or other more expensive models. There are carved walking sticks for the volunteers who do more trail work, fancier hydration systems for those who persist in building things, and things of that sort. We want to recognize the work our volunteers do, make it possible for the public to notice our volunteers, and attract new volunteers of course. Great comment Di, thank you. Giving out such tokens of appreciation and status symbols is a great form of recognition. But recognition isn't the same and incentivising people to give time in the first place, which was the point of my article. Many of us confuse recognition and incentives (it's easy to do after all) but they are different aspects of our work. Do you, for example, find people coming to volunteer with you in order to get the torch or hat or stick? I'm guessing not (but may be wrong). Would hooking them in with those tokens (rather than thanking them with them) change volunteering? Maybe, but that's what I am trying to get at here. I totally agree with Rob. Volunteers do not want incentives and I also agree with Di, it is far better to use the resources that the charity has to ensure that volunteers can do the best within their roles; in P3's case this may be allocating a laptop to a volunteer. A thank you goes a long way and this is something that should be done at National Volunteers Week in a strategic way but also every time a volunteer gives their time. We measure the impact of each individual through discussions at supervision and if any help with motivation is needed I think this is a great tool for volunteers and to demonstrate the power of volunteers across the organisation. Like many things in Volunteering land I don't think there should be any hard rules. I'm one who prefers taking the middle way. If it works for you fine. If not then that's fine too. Many people volunteer at concerts to get a few free tickets thrown in. Nothing wrong with that. Some people volunteer at sporting events and Olympics to see some sports and or get a cool uniform! This discussion kind of reminds me of an old debate on motivation for volunteering. Is it ok to volunteer for selfish reasons? of course it is as long as the client or the community benefits from that service. I don't think of incentives when I volunteer but if it comes with a discount at stores for volunteers or a movie ticket thrown in then hey - that's a nice bonus! Thanks DJ. Yes, a discussion like this can be a bit internally focused and I agree that in most volunteering it may not matter that much. But, if Daniel Pink is right, we do need to consider the wider consequences of incentivising people to volunteer if we are to ensure volunteerism doesn't become entirely transactional in a material way. A good conversation, but I have a lot of questions. Did we ask volunteers about incentives? How did they respond? Will we get different types of people if we incentivize our programs? Will we get the type of people that will push our vision and mission forward to the same extent? When we have been given tickets or other "perks" we offer all our volunteers the opportunity to apply to a lottery or first come first served type of distribution. The folks who apply appreciate the opportunity, but it is a small percentage of our volunteer base. Perhaps, it would serve us better to give incentives to the folks who manage volunteers. They could certainly use some "perks", as they are usually under recognized for the wonderful work they do. Great points and important questions, thank you. It's critical we don't assume everyone will be incentivised by the same things or comes to volunteering for the same reasons. And I totally agree, VMs could do with much better recognition for their enabling work. We surveyed our volunteers (46% return rate). 97% of our volunteers found making a difference and helping others to be extremely or very important in their motivation. When we asked them about forms of recognition 85% liked or loved hearing about the impact of their contributions and 86% liked or loved a verbal thank you.97% of volunteers agree that their volunteering is valuable to our organization. Some of our volunteers don't like the idea of resources being used to thank volunteers. When I am recruiting groups of adults I do let them know that there is a craft brewery right behind us and it is a great way to continue their team-building after they have volunteered.The brewery has given us discount tickets to use at our discretion. I use those when I'm recruiting for an especially difficult opportunity. But I haven't had to use them much. We do recognize our volunteers throughout the year: verbal thank you every time they are here from multiple staff; hand-written thank you card from staff members around the holidays; volunteer recognition event; staff bakes/buys goodies for volunteers during volunteer appreciation week; we have snacks in the building (we're a food shelf - peeps get hungry); etc. For us, I use "when you make a difference in the life of another, you'll be amazed at the difference it will make in you" to recruit. It works for us. Thanks Suzanne for your comment. As I've noted with others I do think there is a difference between recognition and incentives but you make some great points here, thanks. We have many volunteers who generously donate their time to our nature center. However there are certain shifts that are always difficult to fill-weekends and afternoons. It has been suggested by volunteers to offer incentives to those who fill these "difficult to fill" positions-raffles for gift cards. We give everyone a ticket and if you fill one of those shifts then you get an extra ticket. If there is no other solution then perhaps incentives are the way to go. But I wouldn't use them as the first strategy to try. I'd try to reach out to people for whom evening and weekend shifts might be ideal, for example, family groups wanting to volunteer together, people who work during the week, shift-workers etc.. Try and engage people into those shifts just as you would any other volunteer. Better targeting of your recruitment efforts might help. If all else fails then maybe try incentives but, as you'd expect, I'd be wary of them as a first choice solution. I'd encourage others to chip in here as well. Our volunteer program offers ticket vouchers has an incentive. I see the value and benefits from offering this to our volunteers, but on the flip side have experienced several complaints that the ticket vouchers are not good for many of our concerts....which leads me to that conversation with the individuals on what their motivations really are for volunteering with our symphony. It is both uncomfortable and frustrating that a perk we offer is not enough. Sadly, this perk has been offered since we started our volunteer program in 2013, and will remain. Do I agree with it? Yes and No. I see much community impact and engagement, as many of my volunteers with share them with their friends and family and help us reach a new audience, plus we really do work our volunteers very hard at each concert, and they are not able to watch the concert as a patron. However the flip side is there will always be folks that are in it only for the incentives, and that is a hard pill for me to swallow. Nick Levinson, New York, NY, U.S.A. Warning: In the U.S. (I'm not a lawyer), any incentive with monetary value, such as lunch money or a third-party discount, can break the law. Issuing it to a volunteer or to anyone who works for you likely creates, among volunteers, an expectation of compensation. That expectation then entitles the recipient to the full minimum wage (assuming they work, etc.) and that can lead to a lawsuit in which the defendant-management cannot defend on the ground of volunteerism or being nonprofit. In an interesting case, the Supreme Court agreed with workers who testified that they didn't want more than the room and board they were getting in their substance abuse recovery program where they worked in a hospitality facility run as part of treatment under religious auspices. The court agreed with their testimony but said they still had to be paid either nothing (i.e., no room and board) or at least the minimum wage. I include third-party offers if the offers are mediated by the nonprofit where the volunteer volunteers. It's tempting to assume that nominal amounts (like a hat to keep) are excluded but I don't know of a legal basis for such an exclusion. The $1-a-year people are probably not exceptions; instead, they're usually wealthy and won't sue. To say you'd give transportation money to just anyone is probably not believable by a jury. And, in addition, compensation for transportation between home and work is usually taxable income. A big problem with intrinsic motivation is that managers disbelieve it or distrust it. One manifestation is that some managers want to hear a motivation as part of initial screening. They have a point: a motivation may contradict the nonprofit's mission and lead to harmful acts by a volunteer. But generally I found that asking was pointless and normal supervision for consistency with mission is adequate. Even spies (literally spies) can be adequately supervised for some tasks. I don't object to pay or other rewards to people who want them. I often don't want them and prefer to sacrifice economically when I can. That offends many people. Too bad. I would pay motivational bonuses to already-paid people who are effective at using volunteers. I proposed that to one nonprofit that is a coalition of other nonprofits, but a high leader said they can't manage incentives. Perhaps so: Small organizations may find they get too much pressure from staff that they deserve a bonus no matter what and demoralization can lead to turnover, so it's easier not to offer it at all. But many nonprofits I saw ran volunteers under a volunteer coordinator who was low on the totem pole and most other managers refused to use volunteers or to condone their use. One CEO was glad to have me until I declined to be paid even under the table. Then I was judged lousy for acts months and years earlier not complained of at the times. I've been a heavy volunteer and wrote commentaries for TJOVA. We need more volunteerism, including acceptance.